The Commission is responsible, under EU legislation, for discharging Ireland's responsibilities for schedule coordination/slot allocation at Irish airports and the appointment where necessary of a schedules facilitator/slot co-ordinator. The Commission is also responsible for licensing the travel trade in Ireland, and grants licences to both tour operators and travel agents. As part of this function, the Commission administers a bonding scheme to re-imburse consumers in the event of a travel agent collapse. The Commission also licenses airlines and approves groundhandling services providers under regulations implementing EU legislation. The Commission has a significant consumer protection role. 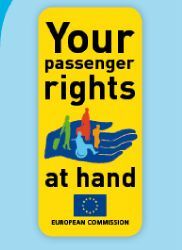 The Commission is the national enforcement body tasked with the monitoring and regulation of EU legislation covering Air Passenger Rights and the provision of assistance to Passengers with Reduced Mobility (PRM). The Commission uses this website as a means for disseminating information as well as for discussion of issues falling under its jurisdiction. The text of Commission papers as well as views of interested parties and the public are posted at regular intervals. The Commission is required under Section 26 of the Aviation Regulation Act 2001 to prepare and submit an annual report to the Minister, who arranges for it to be laid before the Houses of the Oireachtas, after which the reports are published. (*) Please note that this is purely an adminstrative document, and parties who wish to refer to the Aviation Regulation Act, 2001 as amended should refer to the actual text of the Acts in question.